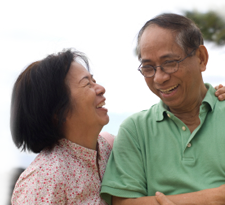 Elder Law: Assist families in planning for disability, guardianship, and long-term care. Estate Planning: Work with clients to tackle issues, such as, deciding who will inherit your property; who will take care of your children if you die while they are young; setting up procedures to avoid probate; preparing powers of attorney to take effect in the event one becomes incapacitated; and working to minimize estate and death taxes to the extent allowed by law. Guardianship: Counsel families who must establish a legal guardianship for a loved one who becomes incapacitated and is no longer capable of making personal or financial decisions. Living Trusts: Prepare documents which allow a person to manage their own property during life and provide for the distributions of their estate after death without the need for probate court involvement. Probate: Represent clients in the administration of a decedent’s estate. Work with the executor or administrator to collect assets, pay creditors’ claims, and distribute the estate pursuant to a will or a state’s descent and distribution statute. Real Estate: Counsel and represent clients who are buying or selling a home. Special Needs Trusts: Work with families with a special needs or disabled child to create a trust to supplement governmental benefits such as Medicaid. Spendthrift Trusts: Protect an individual’s inheritance and other property by drafting trust documents designed to protect the beneficiary’s assets from creditors. Why do we need to do it Now? a family member or loved one becomes disabled or incapacitated. In the course of my practice I am sometimes contacted by families after it is too late to do anything. When a person is no longer capable of making decisions, little can be done in terms of estate planning. It is always better to plan for the future in order to protect your loved ones. by writing your will or creating a trust. As an attorney with thirty years’ experience I can attest that some families are cooperative and get along famously while others will fight over almost anything. One effective way to prevent family feuds is to put your wishes in writing. A professionally prepared, estate planning document insures that your plans will be respected by all. executing a Power of Attorney for Health Care and a Power of Attorney for Property. If you are a single person or have lost your spouse, it is essential that you name an agent to act on your behalf in the event you become incapacitated. Your health care agent will work with your doctor and other medical professionals to insure that your expectations concerning medical care are respected. Your property agent will work to pay your bills and protect your assets. Remember, when selecting an agent it is absolutely necessary that you trust your agent 100%.